We're starting to see all new Christmas Crafts arriving in the store. 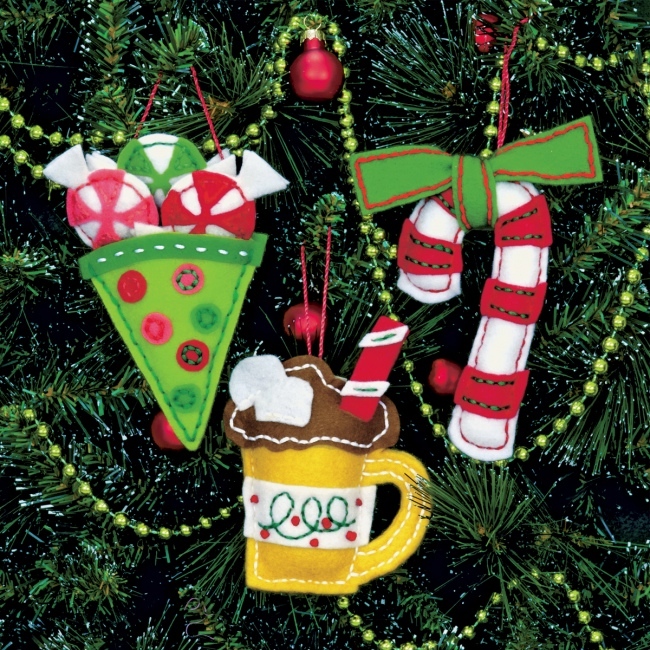 Bright colors & fun themes highlight this year's creative ornament collection. Here's a new selection of handmade Felt Christmas Ornament Kits you won't want to miss. The Sweet Treat Felt Christmas Ornaments Kit from Dimensions includes precut felt pieces, presorted cotton thread, cording, stuffing, needle, and instructions. Everything you need to make three sweet treat themed felt ornaments! This is a fun felt craft project for beginners & experienced crafters. The felt pieces are precut and prepunched with holes for easy assembly. Perfect for handmade Christmas crafting with kids! 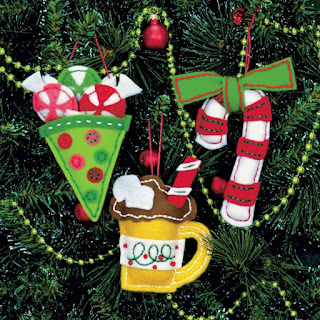 The Simple Cheer Felt Christmas Ornaments Kit from Dimensions includes precut felt pieces, presorted thread, cording, stuffing, needle, and instructions. I really like the fanciful look & colors of these retro inspired felt ornaments. They remind me of something you might see in How the Grinch Stole Christmas by Dr. Seuss. Handmade felt ornaments last throughout the years and bring back fun memories of holiday crafting. 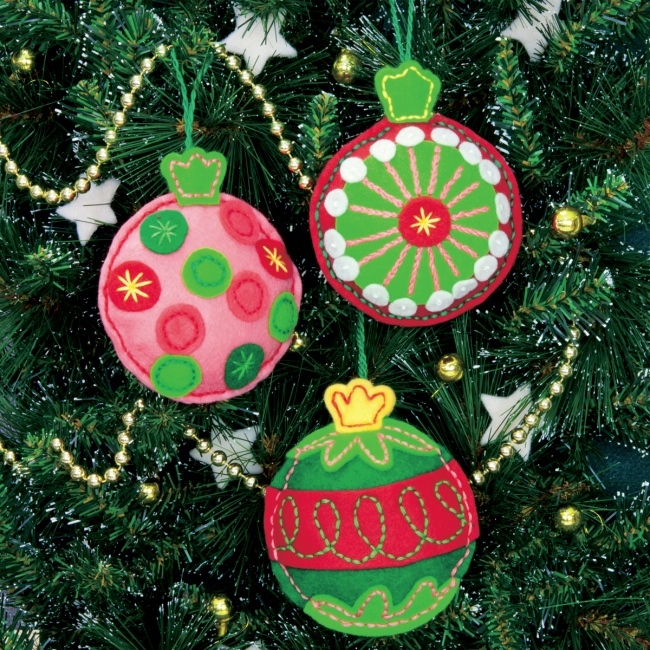 Use finished felt ornaments to trim a Christmas tree, embellish a wreath, or decorate gifts! Starting your ornament craft projects now is a great way to get a head start on the busy holiday season. The Christmas Stars Felt Ornaments Kit from Bucilla includes stamped felts, cotton floss, sequins & beads, needles, and instructions. Bucilla felt kits usually require more precision cutting, detailed embroidery & embellishments. While they do take more time to create, the end result is amazing! 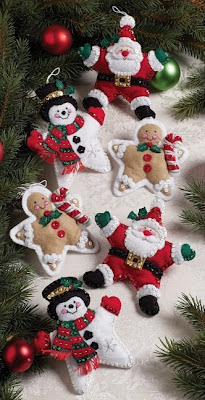 Your finished felt ornaments will be treasured holiday keepsakes. You'll find all the details on these kits and see our complete selection in the Christmas Craft Kits section. Visit Weekend Kits for a unique collection of Creative Art & Craft Kits for the holidays and everyday! Stop by today and be ready to make handmade felt ornaments on your next Weekend at Home! We're adding to our selection of Painting Kits for Beginners with complete art sets from Walter Foster. These new painting kits introduce aspiring artists to a variety of art media & techniques. They're creative art kits with quality materials & comprehensive instructions for beginners – ideal art starter kits for teens & adults. You'll find them in the Paint & Draw Art Kits section of the store! 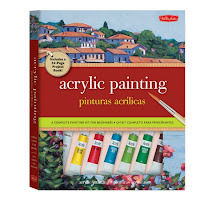 The Acrylic Painting Kit includes a 32-page project book, acrylic paints, paintbrushes, mixing palette, and art paper. It's a complete set of art materials & instructions for getting started. Everything a beginner needs to learn how to paint with acrylics! 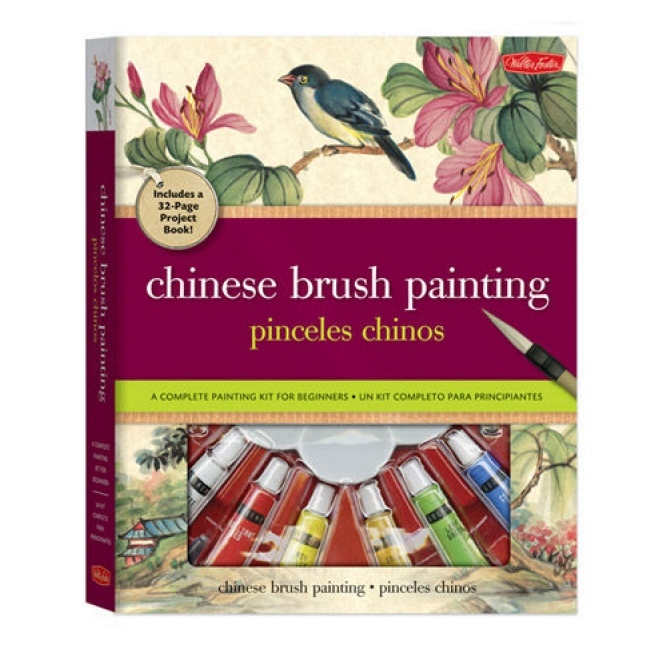 The project book includes detailed illustrations & step-by-step lessons for a variety of painting projects. 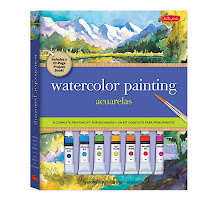 The Watercolor Painting Kit includes a project book for beginners, watercolor paints, paintbrushes, mixing palette, sketching pencil, and art paper. 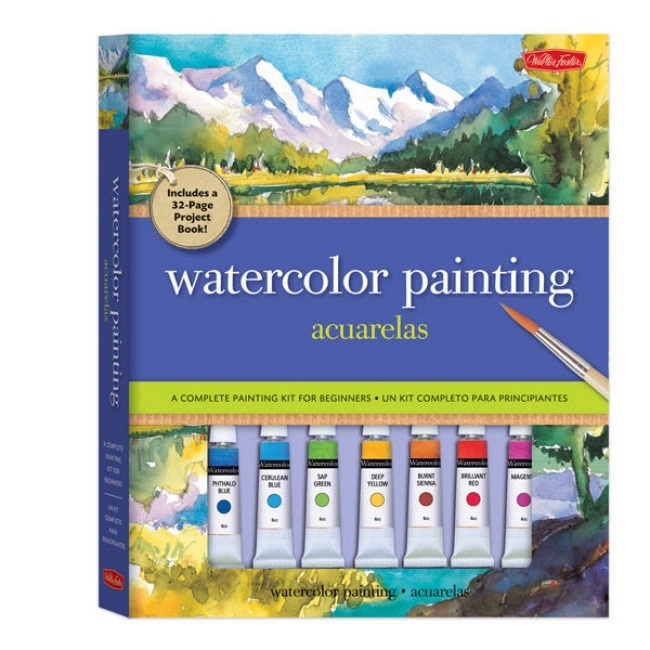 The instruction book includes watercolor painting basics, with helpful information on tools, materials, and color mixing. You'll learn watercolor painting skills and apply them to the project lessons included in the book. 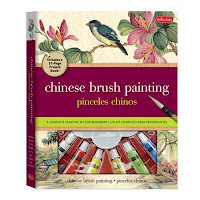 The Chinese Brush Painting Kit includes a project book, watercolor paints, Chinese paintbrushes, ink stick & stone, ceramic palette, and art paper. Learn to create Chinese brush paintings, including animals, flowers, landscapes, and more. Kit contents are nicely presented inside a hardcover case. An ideal art gift giving idea! Visit the art kits section of the store for details on these kits and to see our complete selection of Beginner Painting Kits for adults, teens, and kids. Weekend Kits specializes in Creative Art & Craft Kits for all ages & skill levels. You'll find a unique selection of DIY craft kits from well known brands as well as independent artists. Stop by today and be ready to create a work of art on your next weekend at home.